“Yeah, yeah, yeah… there’s a lot of soccer to talk about this week, we’ve heard you say that on the Podcast around a million times.” Well, pardon us, but you’re going to hear it again. And really, it might be the most soccer we’ve ever tried to fit into one recording. 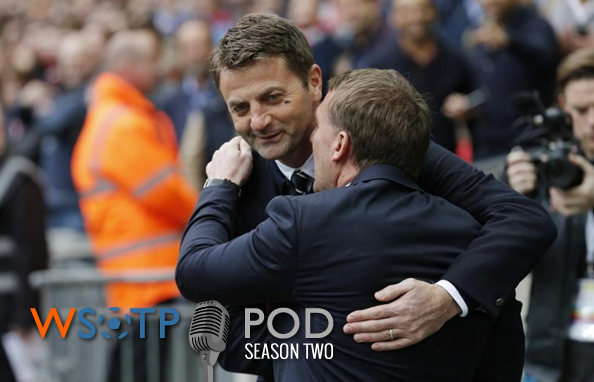 We’ve got Premier League races, FA Cup shocks — including further professional trolling from Tim Sherwood — a very interesting round of MLS fixtures, a random international in USA-Mexico, plus the weekly Fantasy Update, Crap Football Watch and Winners & Wankers segments. And oh yeah, we did it all on a fancy new microphone set up thanks to friend of WSOTP, Adam Maloney. So we’ll be coming at you with “HD” sound… whatever that means. Also, don’t forget to make our jobs easier by sending us your questions and topics to discuss on next week’s #Pondcast — the less content we have to come up with the better! You can reach us by email at contact[at]wrongsideofthepond[dot]com or hit the social media links at the bottom of the page. And if you haven’t yet, subscribe to automatically receive new episodes on your favorite mobile device.